People are living, working, and car buying in a tech-savvy world. Digital marketing is no longer an option, but a standard process. It is necessary for your dealership’s survival. Dealers cannot afford to do what everyone does wrong with dealership marketing. Many dealers spend time distributing, “Best car deals in town” balloons around the lot. Making them lose valuable time with online customers. This is an excellent example of where most of the issues lie. Many dealerships still struggle to connect with tech-savvy car buyers. What is “Digital Marketing Focus”? Digital marketing is the use of various methods and technology to promote/sell products or services via the internet. Inside each digital marketing method, are several critical areas. Each, require your dealership’s focus to reach prospects and future buyers. Some dealerships are still stuck on using traditional selling. While others are misguided about the effectiveness of digital marketing. Causing many to place their focus on the wrong areas. Making their efforts ineffective at driving results and increasing profits. When you place your efforts in the wrong areas, digital marketing dollars go to waste. 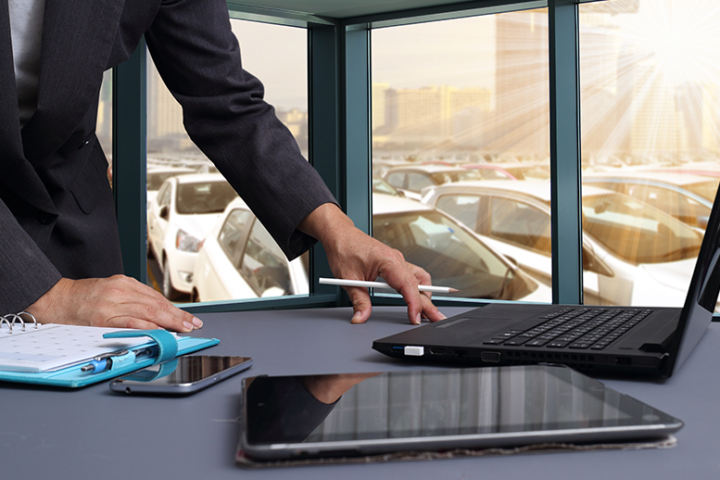 By knowing where your dealership needs to put its focus, you can begin achieving goals. It is imperative your dealership targets the right audiences for the right reasons. Its focus must not be solely to gain “followers” or “Likes,” but to connect with potential buyers. Social media numbers do not matter. Instead, the value lies in the people behind those numbers. Place your focus on reaching potential buyers who like the makes and models you sell. Make sure you also target those who live in your local community and its surrounding areas. You may have one-thousand followers, but if only five-hundred of them live near your dealership, then technically, you only have five-hundred possible prospects. Place your focus and efforts on making your followers one-hundred percent prospects by targeting local and automotive audiences. Paid Ads have their place in digital marketing, but more often than not, there is too heavy of a focus put on this area. Organic traffic is also influential in achieving dealership goals, not to mention, cost-effective. Using digital marketing dollars to post Ads, is an effective way to reach online audiences. But your dealership can do even more with the implementation of organic methods. Have your dealership increase its focus on connecting with potential buyers, organically. People connect with people who have similar interests, beliefs, values, and goals. Customers seek relevancy in what or who they interact with. They want to find similarities and to form connections. If the content you post is irrelevant to what you sell, the brand identity, company core values, or local community, then you are not relatable. For instance, when a customer clicks on a link you share, they expect to be taken to a page or site relevant to that link. If there is no connection between the two, people will disconnect from you. What you post matters, so make it count. To connect with your audience, your content must go far beyond trying to have potential buyers “like” your vehicles. Ultimately, they can buy the same inventory you sell from one of your competitors. The key is to have your customers “like” your dealership. Your content should speak for itself and offer customers reasons to choose you. Every post you share or interact with is a representation of your dealership. Create a digital marketing strategy that represents what your dealership stands for. Deliver only relevant and relatable content. Your dealership’s website and blog are two powerful tools. You need to start using them to your advantage, immediately. Their purpose is to share relevant content and the inventory you sell. But neither one of the sites or their materials matter, if people are unable to use them. Which is why your dealership needs to place its focus on site usability. There are 5 elements users expect to experience when visiting your website and blog. Your dealership must become familiar with what users want and to have your site provide it to them. It is essential to learn what they need and value, as well as, their abilities, and limitations. The user experience will impact how your dealership, its products, and any related services are perceived. In 2018, 75% of people said they base a company’s credibility on their website. If your website and blog are poorly designed, not mobile-friendly, and lack regular maintenance, or upkeep, then your reputation will feel the effects. Customer expectations include friendly faces who are highly-communicative and easily accessible. Today’s consumers seek convenience, conversation, and connection. Each involves you asking probing questions, actively listening, and observing. Your goal is to know precisely what your customers need. For your dealership to gain the trust and loyalty it requires from customers, it must provide engagement, information, entertainment, high-quality, and consistency. When you meet or exceed customer expectations, you create a positive experience. Understanding that one cannot exist without the other is the first step towards improving customer service. If your dealership shifts its focus from being sales-driven to expectation-driven, you will see a difference in how customers interact with you, and as a result, experience an increase in profits. To change what everyone does wrong with dealership marketing starts with one dealership at a time. Now that your dealership knows better it can do better. Start focusing on the right areas of digital marketing to build greater connections with your customers.